No 1. 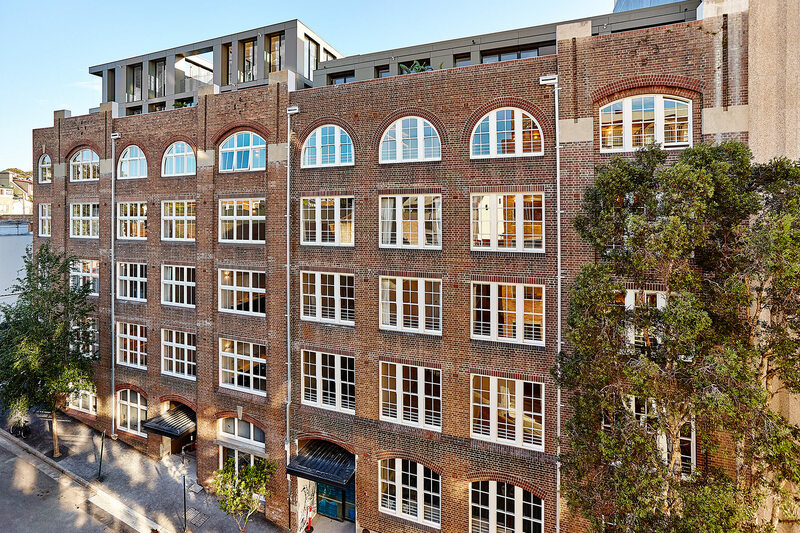 Lacey, a multi-residential development in Surry Hills completed by Cornerstone in collaboration with BKH and Billard Leece Partnership, has won three 2018 Urban Development Institute of Australia (NSW) awards. The project was awarded the Urban Renewal/Adaptive Reuse category, Medium-Density Development Below 100 Dwellings category, as well as the President’s Award. The President’s Award in particular is an honour bestowed on the best project out of the annual UDIA NSW/ ACT Awards for Excellence winners. The Institute’s President personally selects this best-of-the-best project based on its superior innovation and quality. Cornerstone with BKH and Billard Leece Partnership converted the five-storey heritage former 1912 Globite school-case factory and warehouse building into 38 warehouse apartments and seven terrace penthouses, all of which sold within two hours of going on sale. The development retains its exposed brickwork, oversized timber arched windows, heavy timber beams and sturdy columns remain in homage to industrial origins. With an extremely large floorplate, the building didn’t easily lend itself to the residential typology. However, through inventive planning around an extravagantly landscaped internal courtyard, the result is generously sized north-facing apartments and hotel-like corridors. The landscaped courtyard space is reminiscent of the sub-tropical habitat common to the gully regions of costal New South Wales – the space is absolutely extraordinary. In terms of quality of living and floorplate constraints, it set a new benchmark in the re-use of turn-of-the-century industrial buildings. Together with restaurants, cafes and boutique stores activating its ground level, No 1. Lacey is a harmonious addition to the Surry Hills community. The wins mark the second time that a collaboration between Cornerstone, BLP and BKH has earned UDIA acclaim, including the President’s Award; Casba picked up several awards in 2015 for Cornerstone in collaboration with SJB Sydney and BLP, with interiors by BKH. We’re grateful to be a part of the regeneration of inner Sydney. Congratulations to Cornerstone on another award-winning project. Read about No. 1 Lacey here.